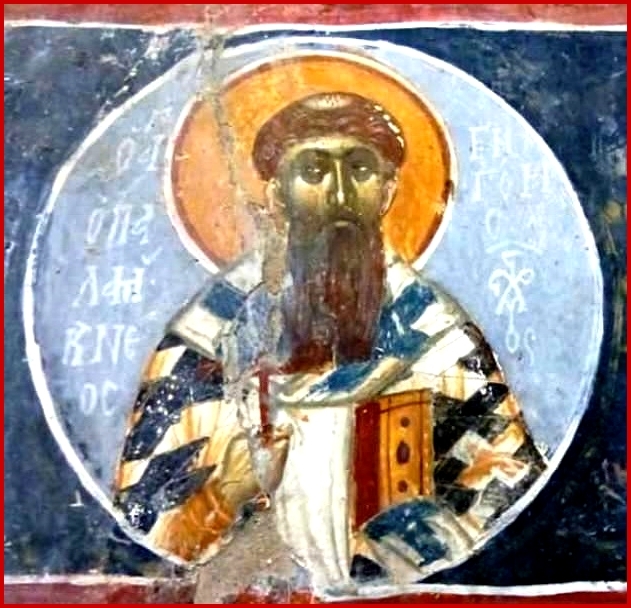 During the Second Sunday of Great Lent, the Church celebrates the memory of the epitome of faith and life, St. Gregory Palamas, later Archbishop of Thessaloniki, who, according to the hymns, is the great teacher of the Church and the preacher of divine light. The distinction of essence and energies of God involves all of those things God can share and those He cannot share. The essence of God is inaccessible and unknown to creation, including people. However, one can come into relationship and communion with God through His uncreated energies, and the grace offered generously. In the relation of sanctification and communion, the heart, not the mind, is the way for anyone to have the divine experience of uncreated light. Saint Gregory Palamas gives us the example of the sun. For Palamas, God is known sort of like the sun is known. We see the sun’s light and sense its heat. And though we may not be able to stand on the surface of the sun without melting, or be joined to its essence without disintegrating, we can nevertheless experience its energy. Thus, the face of the Prophet Moses radiated on Mount Sinai. Yet perhaps one is wondering what is the benefit for us today, of a teaching of a Saint, a Hesychast, focused on noetic prayer known as “prayer of the heart”, an ancient practice of monks and people of the fourteenth century? Why is the essence–energies distinction of God a basic element of our Orthodox spirituality and our personal relationship with God? Many of us are not monks and ascetics. Learning the ascetic prayer method of the Holy Fathers gives us the possibility to taste the uncreated light of God. It also gives us the necessary spiritual goods in order to participate in this experience. It is not, therefore, merely a reflection that forms the basis of Hesychasm. Nor is it a super-cognitive inner self-revelation of the mind, which is the hesychastic experience. We feel that these profound teachings of St. Gregory Palamas touch the boundaries of divine presence, out of noetic capabilities, in the depths of our heart, where the prayer is working for union with God. Noetic prayer, which St. Gregory Palamas hands down to us as a spiritual treasure, is not only for those who live in the monasteries and deserts, but also for the faithful. This prayer makes the nous to meet in the heart. The heart in the neptic and hesychastic tradition is the center of the moral and spiritual, and the throne and the place of the grace of God. There a human being meets God and God meets a human being. In this meeting the filthy thoughts and sinful desires will emerge, trying to infect our hearts and severe the ties of communion with the uncreated light. That is why we need silence, a special way that protects us from the devil’s scourges and our desires. With the basic prerequisite of the essence-energies distinction, noetic prayer is the light in our soul. It is a chain that connects a human being with God. These two things are not doctrinal or abstract concepts and some philosophical views of the Saint. On the Second Sunday of Great Lent the gracious preacher reminds us that God is light, in Whom there is no darkness. Our noetic prayer helps us to taste this divine state and experience, because otherwise God and the uncreated light will remain unknown and invisible and will not touch our everyday life. This light and experience is given to us by the Church through its mysteries, and noetic prayer helps us to become the vessels of the grace of God. Amen.